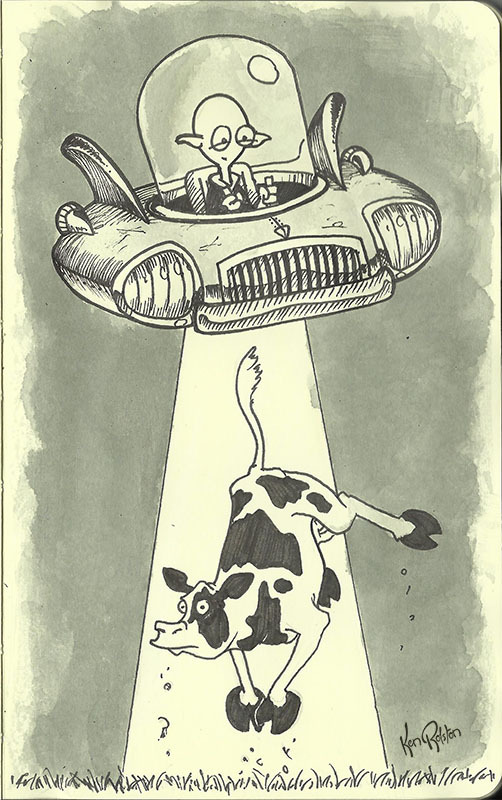 Day 12 – #Inktober Alien Abduction. I think this one speaks for itself. The night sky is about 5 layers of a watered down black ink wash.